Every second Sunday in May we honour the mothers and grandmothers in our lives with a special day dedicated entirely to them. And if you’ll be spending this Mother’s Day in Niagara Falls, here are a few great destinations and experiences to check out that will undoubtedly make for a memorable time with mom. Niagara-on-the-Lake is a charming and historic town that offers the perfect setting for a memorable Mother’s Day afternoon. 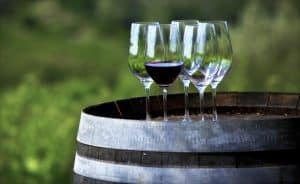 A visit to one of the area’s many amazing wineries is a wonderful way to spend the day with your mother or grandmother, with winery tours, wine samples, and delicious food pairings waiting to be experienced and enjoyed. Hornblower Niagara Cruises has just recently re-opened for the season and an afternoon boat ride is a great Mother’s Day activity that the whole family can enjoy. This legendary boat tour takes you right up to the thundering waters of the Horseshoe Falls and offers an unforgettable Niagara Falls experience that’s unlike any other. Enjoy an incredible Fallsview dining experience with your mother or grandmother at Prime Steakhouse, Massimo’s Italian Fallsview Restaurant, or Fallsview Buffet restaurant, which all offer unique dining experiences in direct view of the magnificent American and Horseshoe Falls. Visit any of these restaurants to find and indulge in unique dishes featuring fresh and seasonal ingredients from throughout the Niagara Region. The historic McFarland House in Niagara-on-the-Lake hosts a special Mother’s Day afternoon tea in their beautiful Conservatory Tea Room. The afternoon features traditional tea and fresh baked goods in a 19th century house that’s located along the picturesque Niagara Parkway.